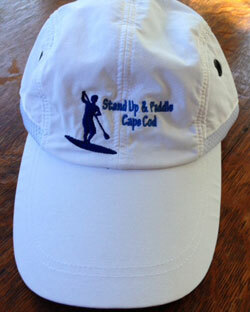 We offer T-shirts and hats. The long-sleeved T-shirts are available in men's, women's and youth sizes. Adult shirts are $25. Youth shirts are $20. The Adams sunblock adjustable hat is $25. 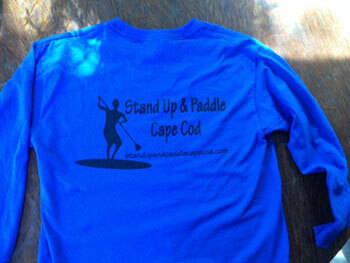 To place an order, call Stand Up & Paddle Cape Cod at 508-331-0798. Stand up and paddle tour locations include rivers, lakes and ponds in Centerville, Hyannis and Osterville, as well as anywhere else there is water.